The latest form of ringside entertainment has arrived. The coloured Flame Cannons Show lasts approx. 60 seconds. 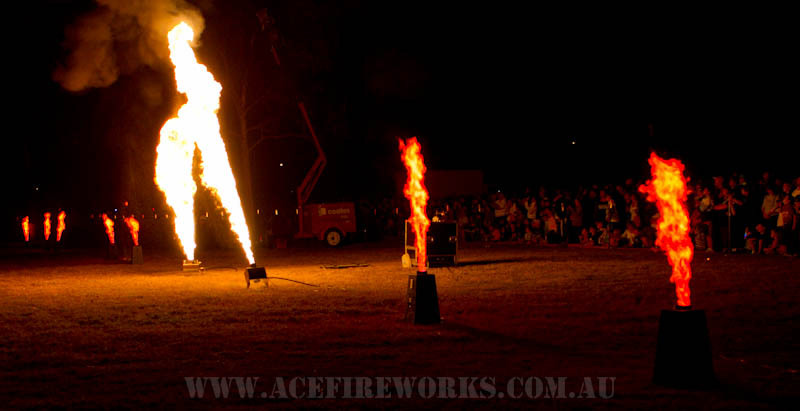 The Cannons shoot coloured flames up to 12 metres high and are choreographed to music. 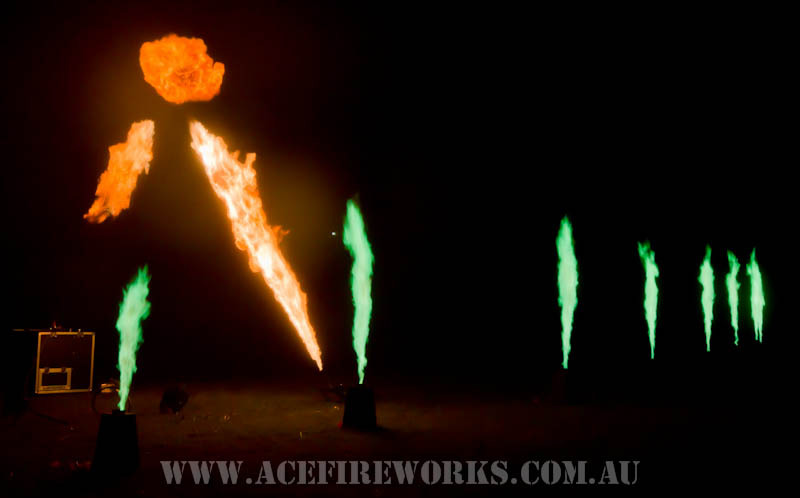 They can be used in an area where you may not have enough room for larger entertainment such as a Fireworks Display, however, for an extra classy form of ringside entertainment, the Cannons are best showcased in conjunction with an ACE Fireworks display. The Flame Cannons can elaborate on a not so attention-grabbing situation such as the entrance of a sporting team and make it more spectacular. Again, the Flame Cannons are a great way to add that extra something to a special occasion. The bridal waltz at a wedding with the Flame Cannon coloured flames visible in the background makes those wedding pictures look even more stunning, not to mention making your special day one that your guests will always remember. 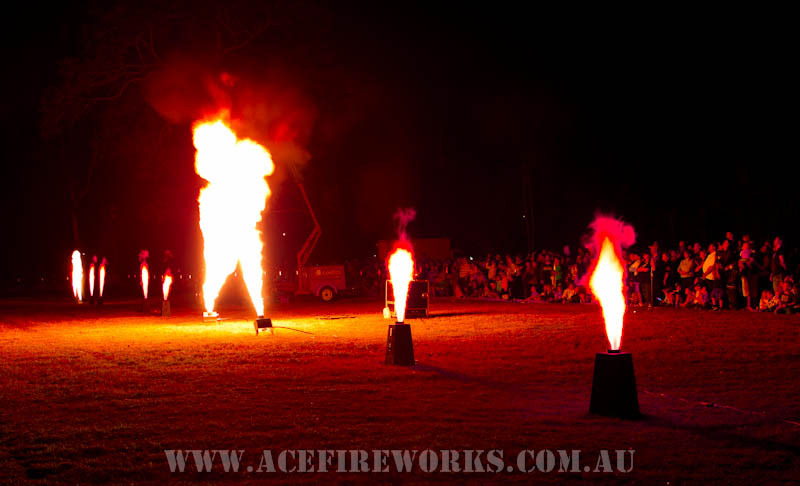 A great idea particularly for weddings or promotions is to exhibit the Flame Cannons by the water or lake. Their colours reflect the water and look absolutely beautiful. We use a specially designed Fireworks barge so the Fireworks and Flame Cannons can be incorporated for a complete package. 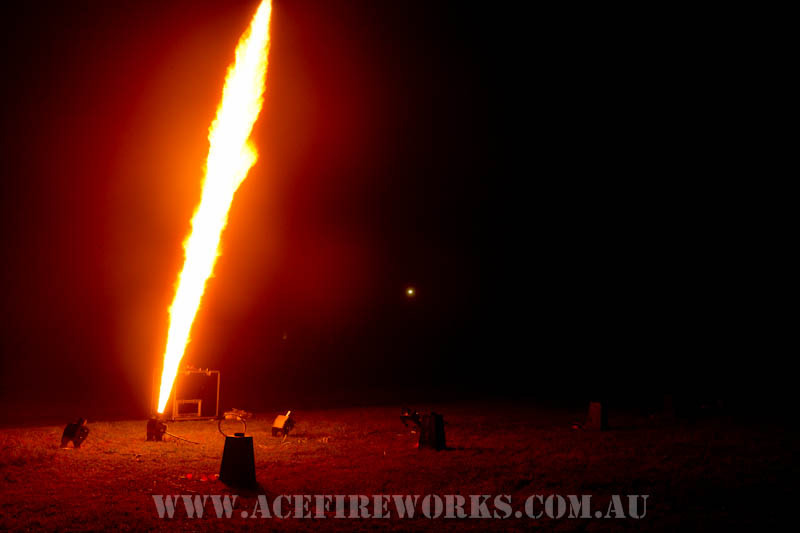 The Flame Cannons are a great way to add that extra piece of style and class to any event. 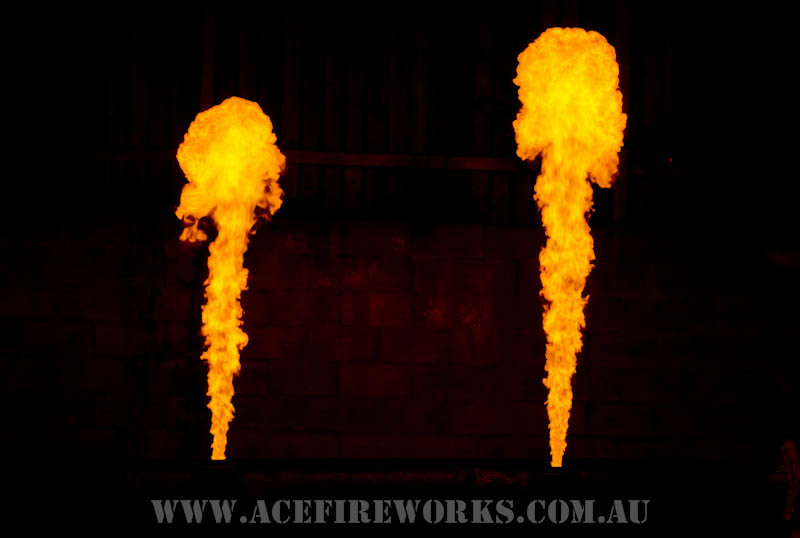 Special Fireworks and Flame Cannon packages available.